A scam is when someone tricks you online , a bit like a prank but online so if you ever get a message saying you have won £10,000 don’t get yours hopes up or go around bragging about it as it may be a scam , lets hope it isn’t but if is tell an adult / friend. 5.2.2019 LC: To understand what consent means in an online world. Nykia: Hey, is it ok if I post that photo we took today online? Billy: No, I feel uncomfortable with that photo, can we take another one please? Nykia: Sure,when can you come around again? Billy: I am around at 17:53, thank you!!! Consent is important because you need to ask somebody for permission, if you do not use consent and do it without permission they might get angry even though they would have maybe said yes. It was delicious we microwaved milk and then added lemon juice.we mixed till it was lumpy. Is lady Macbeth guilty for king Duncans death? Lady Macbeth’s question has been asked for sentarys. Some People think that lady Macbeth killed king Duncan on the other hand some think she didn’t kill king duncan. The reasone why people think she killed king duncan was because she toled Macbeth to kill king duncan. Lady Macbeth is guilty because she made Macbeth do the merder. Lady Macbeth wanted the power to take over the throne. She was the one who framed the guards. Some people think Lady Macbeth is innocent because she only made it only a idea for Macbeth to think about. We have come to the decision she is innocent because the facts could be true so that is why innocent wins the argument. Some people argue that lady Macbeth is guilty or not! Some people think that she should go to jail but on the other hand people argue back that she didnt committ the crime so she shouldn’t go to jail!Some people say she should go to jail for the fact she framed the guards with a lot of blood. People think she should not go to jail because it wasn’t her who actually committeds the crim and Macbeth could of said no to the suggestion.People think she was smart for framing and she is nearly the queen of england. On the other hand people think she should go to jail for the fact she was a master mind behind it and that if Macbeth goes to jail she should go to because it his his wife. This has been happening for a fue years and there is no end for it. It is unusual for a king or queen to go to jail.they do rule the country so they can disagree to the rule.Also it was Macbeth and his wife who carried out the party and was not seen to there rooms. Aftergathering all of the valuable infomation we found out that lady Macbeth is not guilty. One of our most valuable information is that it wasn’t lady Macbeth who did the murder it was Macbeth.Even though she was a mind behind this Macbeth could of stood up for him self and said a big fat NNOO!!!! 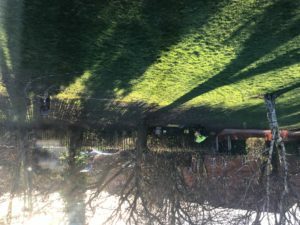 Today at H.P.S, Monday 28.1.19 ,the builders have came in to start our playground project. 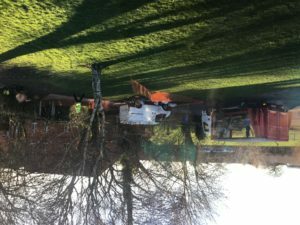 H.P.S have been planning to do a massive upgrade to the playground.This morning the van had loads of building equipment .We hope the builders do a great job and also don’t disturb us! Anne Boleyn was Henry’s second wife . In secret, they married each other on January 1533.Anne Boleyn was born on July 2nd 1501.
lspenceley on Is lady Macbeth guilty for king Duncans death?